May 1940. The Germans invade France and the course of three lives is upended. Annelle LeMaire is a French refugee desperate to contact her Legionnaire brothers. Mabry Springs, American wife of a wealthy Brit, is struggling to come to terms with a troubled marriage and imminent German invasion. And Reid Carr, American representative of French champagne house Pol Roger, brings more than champagne to Prime Minister Winston Churchill. Their paths entwine when Churchill and his entourage take refuge at Wickwythe Hall, the Springs' country estate hidden from the full moon and German bombers beneath a shroud of trees. There, as secrets and unexpected liaisons unfold, Annelle, Mabry and Reid are forever bound by the tragedy they share. Part Downton Abbey, part Darkest Hour, Wickwythe Hall was inspired by an actual confrontation between the British and French navies in July 1940. A story of love, loyalty, and heartrending choices, Reader Views calls Wickwythe Hall a "whirlwind novel" that "will no doubt leave an imprint on your heart long after you finish reading." Please see "Media" for reviews of Wickwythe Hall and related media. 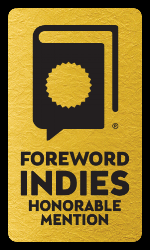 Wickwythe Hall is an official selection of the Pulpwood Queens Book Club!